I spent four days at the stand, listening to the discussions and watching books being snatched from the counter. 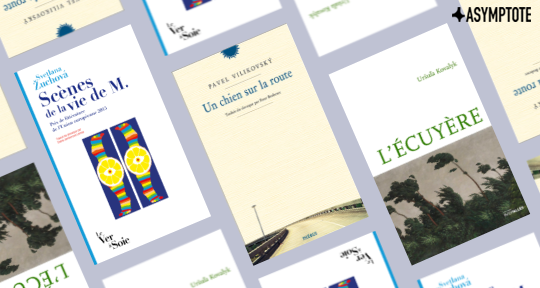 As we reported in Asymptote’s weekly dispatch a few weeks ago, Slovak literature made waves at this year’s Salon du Livre in Paris, where thirty-seven books by Slovak authors, including twenty-five brand new translations, were presented. Also in attendance was writer and past Asymptote contributor Marek Vadas, on this occasion wearing his hat as staff member of LIC (Centre for Information on Literature), the agency responsible for promoting Slovak literature abroad. He has agreed to share his insider’s view of the book fair with us. 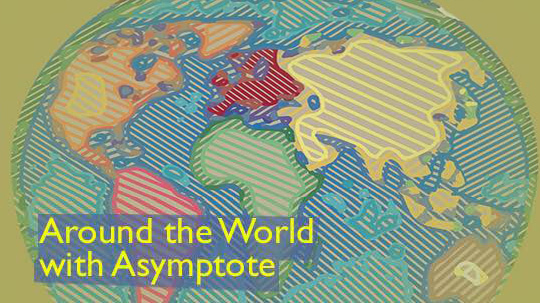 Explore the very latest in world literature, from Asymptote contributors! Our dispatches this week range from the celebratory to the urgent. Slovak literature is victorious after a splendid showing in Paris, Guatemalan independent literature stakes out a spot on the main stage, and in Albania, writers have taken admirable steps in order to bring the importance of reading to public attention. Read on to keep up with the thrilling advances of these three national literatures. Slovak literature has been making waves in France: Slovakia’s capital, Bratislava, was the city of honour at this year’s Salon du Livre, held from March 15 to 18. Years of painstaking preparations, spearheaded by the Slovak Centre for Information on Literature, have resulted in twenty-six brand new translations of books by Slovak authors being translated into French in the past year or so—twice the number published in the thirty years since Slovakia’s independence. Book launches and presentations were accompanied by readings, discussions, and exhibitions, featuring over a dozen writers, playwrights, and journalists, with a good sprinkling of graphic designers, artists, filmmakers, publishers, musicians, as well as some government representatives, which attracted scores of the reading public and captured the attention of the media (find links to the press coverage on the Embassy of Slovakia’s Facebook page). 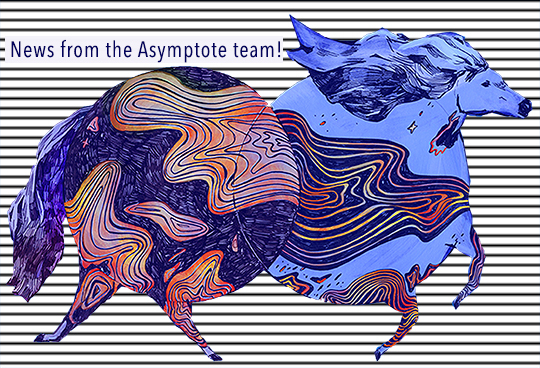 Featuring work from twenty-three languages and a record-breaking thirty-five countries, there’s plenty to choose from in Asymptote’s Winter 2019 issue! Today, our three blog editors share their favorite pieces, from Icelandic, Slovak and Latvian poetry to Brazilian Portuguese social commentary and Bengali short stories. From the Fiction section, the ever-intensifying “The Meat Market,” translated from the Bengali, takes one unexpected turn after another in a thrilling prose adventure. Set a week before Eid, what should be a celebratory, communal affair quickly turns sour in East Rajabazar. This is a city where transactions are tainted by the potential for danger, just as the meat sold is tainted by false advertising. Aminul Islam faces the full consequences of these circumstances that he fails to fully understand, culminating in a shocking conclusion carefully set up by Mashiul Alam’s artful prose, switching deftly between first- and third-person at crucial moments in the narrative. 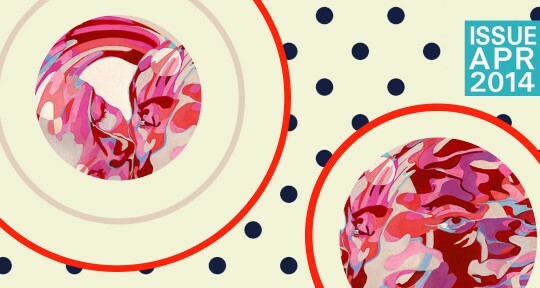 Our weekly roundup of the world's literary news brings us to Romania, Moldova, Slovakia, and Iran. This week, we bring you news of literary festivities in Romania and Moldova, a resurgence of female writing in Slovakia, and the tragic loss of a promising young translator in Iran. As always, watch this space for the latest in literary news the world over! A book of interviews with Romanian-German writer and past Asymptote contributor Herta Müller came out in French translation from Gallimard just a few days ago (on Feb 15). The book has already been praised for the lucidity showed by the Nobel-prize winner in combining the personal and the historical or the political. Check out what the team has been up to thus far in 2018! Poetry Editor Aditi Machado has created a teaching guide for her recent book of poetry, Some Beheadings (Nightboat Books, 2017). She was also interviewed by Chicago Review of Books about the translatability of poetry. Communications Manager Alexander Dickow released a short monograph in French on Max Jacob called Jacob et le cinéma (Paris: Nouvelles Editions Jean-Michel Place, 2017). Guest Artist Liaison Berny Tan’s first solo exhibition, ‘Thought Lines’, opened last month. She also currently has work displayed in an exhibition called ‘Journeys with “The Waste Land”’ at the Turner Contemporary in Margate, UK. 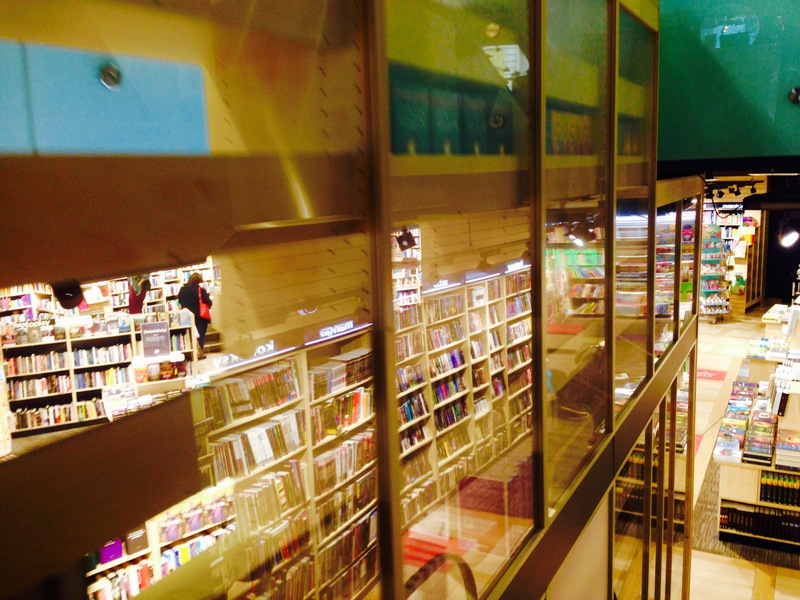 Editors in Slovak Publishing Houses: An Endangered Species? It cannot be repeated often enough that the editor’s work on a book is as important as the work of those responsible for its physical production. No longer plagued by censors and paper shortages since the end of communism, the publishing industry in former Czechoslovakia has faced other kinds of constraints that it shares with much of the commercially-driven world in which we live. 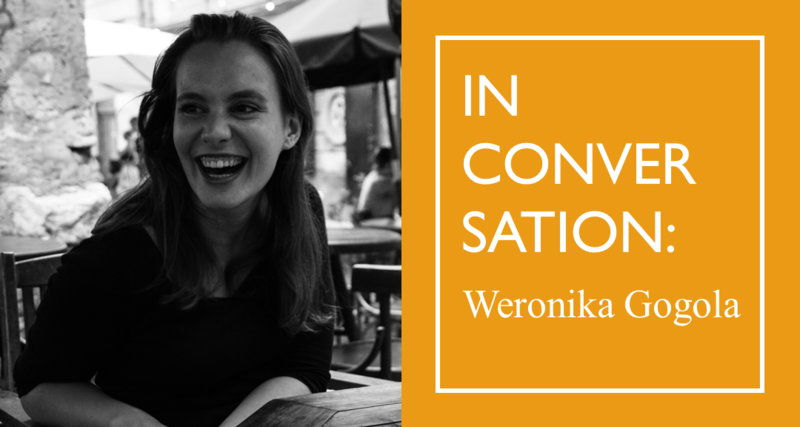 Literary scholar and critic Ivana Taranenková shares with Asymptote’s Slovak editor-at-large Julia Sherwood the findings of a survey comparing editorial practices in Czech and Slovak publishing houses before and after 1989. The survey was carried out by the web journal Platform for Literature and Research, which Taranenková runs together with her colleagues Radoslav Passia and Vladimír Barborík. Recent publications of new literary works by Slovak authors as well as works in translation have exposed a trend that is trivial yet irksome. While the number of published books continues to grow and their visual quality is improving, pundits have increasingly noted the declining standard of manuscript editing. This is a problem not just for literary reviewers, but also for those who judge literary awards when they assess each year’s literary output. 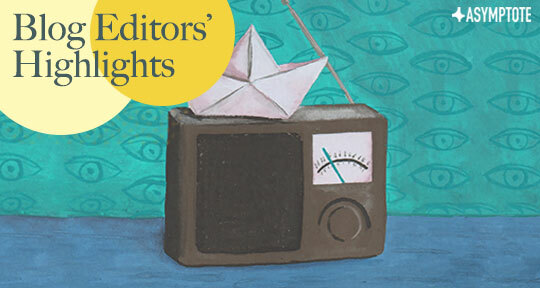 Editorial standards are often so dismal that these poorly edited manuscripts can no longer be seen as just isolated instances of incompetence or failure on the part of individual editors (as some reviewers have suggested), but rather as a systemic issue. 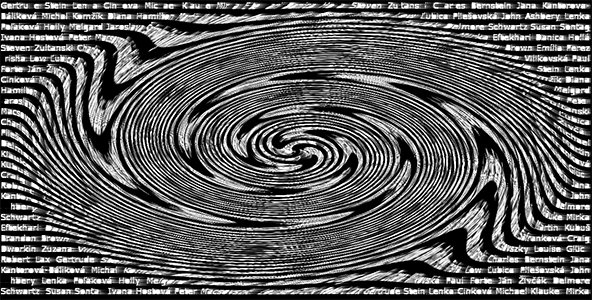 Other than in some major publishing houses, the profession of editor appears to be waning, a victim of the drive for “increased efficiency” in publishing, and a growing reliance on outsourcing that requires a smaller investment of time and money per book, ultimately resulting in dilettantism. The same also applies to emerging independent publishers.